Don’t do it! I promise you ladies that just like you it was hard for us naturals that have been natural for awhile too. I started out back in 2005 with no resources. Like I was using men’s products ( yeah I know smh). 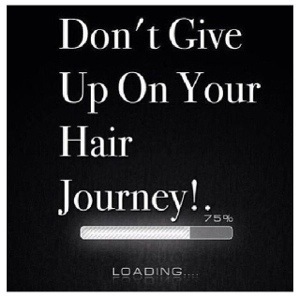 I’ve BC’d twice, had straight hair, color, damage everything you can think of, my hair has probably gone through it but I’m saying this to say Don’t give up! Trust me WE ALL go through it! Thank you for this post! I really needed it. Thanks to you I will continue on my journey. I was a swipe away from purchasing a relaxer.